AN INTRODUCTION TO FRIENDS OF THE WORD! 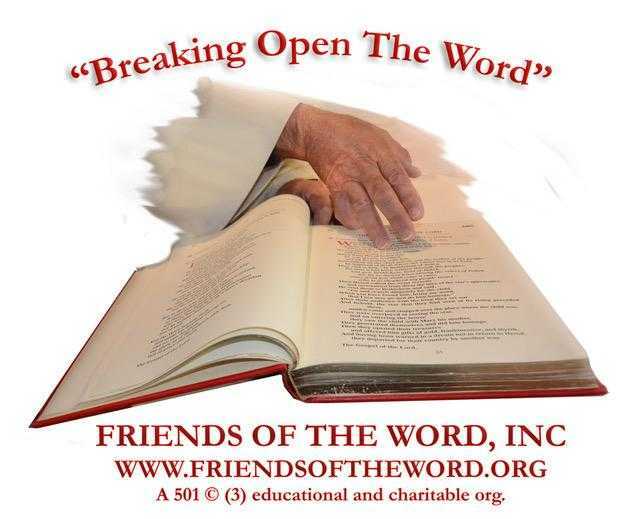 | Friends of the Word Inc. "Breaking Open the Word"
AN INTRODUCTION TO FRIENDS OF THE WORD! Let us know if you have questions...or suggestions! Robert Shanahan, ESQ., Fr Louie Scurti, Dr Jon Boshart, Ann Marie Abad, Carl Bolleia, Barbara Stomber, Dennis Harding, Dr Greg Costello, Gerard F. Reynolds, Bill Meyers, Kathy Kehoe Meyers, Magee Molino, Areil Tolomeo (Intern).